Our Hand Coil Winding Machines provide an affordable, durable and reliable, user friendly coil winder for any coil winding company. 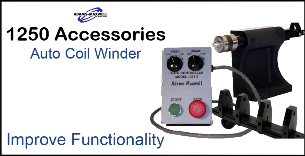 Our Auto Coil Winders are microprocessor controlled for even layering and precision Coil winding, even with fine wire. An affordable unit for precision coil winding. 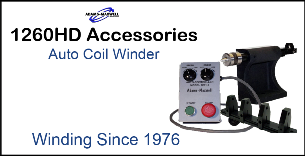 The 1400HD series, our heavy duty Coil Winding Machine, can wind up to AWG 5. Uses a miroprocessor controlled PCB for perfect results - every time. 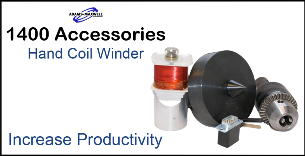 Take your Heavy Duty coil winding applications to the next level of accuracy and productivity with our Heavy Duty Auto Coil Winders. 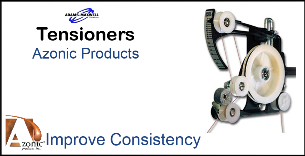 We offer many wire tensioning devices to assist in your coil winding, ensuring consistent results in each of your coils.